With the visit of the L’Hermione to the east coast of the United States this summer, there has been a heightened interest in the Franco-American alliance that won the American Revolution. The French rebuilt the L’Hermione not only for its beauty but also its historical significance. Most importantly, its mission and the passenger it contained when it arrived in Boston in the fall of 1780. The spring of 1780 was a low point in the American cause of independence. Stagnation in the north between Washington and British commander General Sir Henry Clinton combined with devastating defeats in the Southern Theater caused low morale among the patriots. Cornwallis had complete control over the Southern colonies and no standing American force seemed to be able to stop his movements. Though the French monarchy pledged support and forged an alliance with the United States, only supplies and money had arrived in America. What Washington wanted and needed most was a strong French fleet and a French army to assist in dealing with the British. The nascent American navy won a few small battles on the seas, but had no impact on the overall war effort. 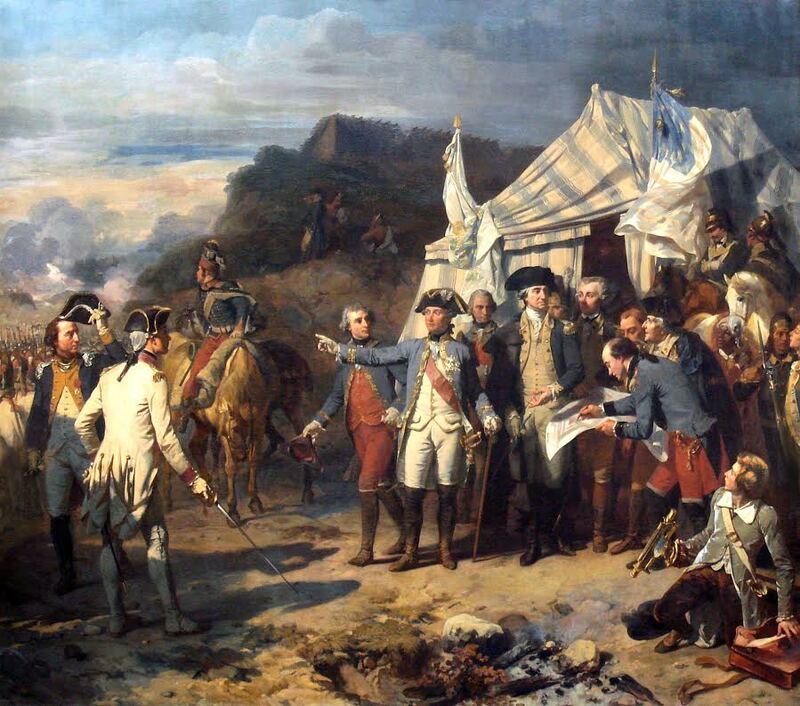 Washington believed only a Franco-American force would end the war in the favor of America. In January 1779, Lafayette returned to France. His original mission was to convince the French monarchy to invade Great Britain while its attention was focused on America. 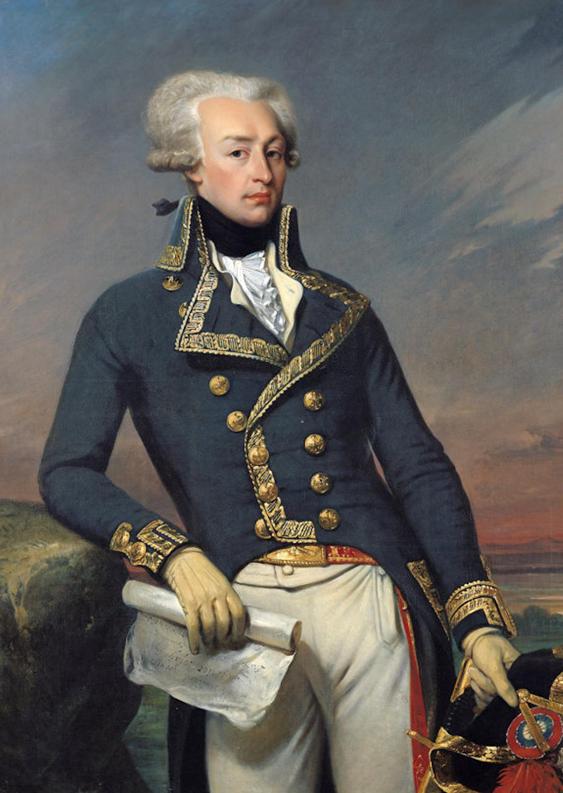 Lafayette was also hoping to be put in charge of this invasion force. The initial reception of King Louis XVI was to throw Lafayette into house arrest for disobeying his orders to not leave for America in 1777. Albeit it was an easy “arrest” for Lafayette as he was confined to his palace. Soon he was released and began lobbying for his grand plan of invasion. Lafayette was disappointed though – he was not considered experienced enough to lead an army and his plans never came to fruition. But Lafayette did not give up on his goal of a Franco-American defeat of Great Britain. While in Paris, Lafayette became close friends with the United States’ ambassador to France, Benjamin Franklin. Franklin was adored by the French public and aristocracy. His influence was immeasurable and he succeeded in establishing trade agreements and financial support for the American cause. But still the French military support up to then was disappointing. An unsuccessful campaign in Savannah, Georgia put a shadow over the possible chances of France lending its military might to the United States. With the support of Maurepas and Vergennes, King Louis endorsed Vergennes plan to send a new French fleet to America under Admiral DeGrasse. This fleet would work in conjunction with the “Expedition Particuliere” – a force of 7,000 men under the Comte de Rochambeau. Even more amazing, Rochambeau was instructed to take orders from Washington. France truly put its trust in the new alliance. The new French forces would not arrive until July 1780, but on March 10th Lafayette joined L’Hermione crew and sailed to America. His mission was to personally deliver the news of the new French support to Congress and Washington. With an uneventful trip Lafayette arrived on April 28th in Boston. He could barely contain his excitement over the news he was sent to share. Arriving as a hero, Lafayette rushed to Washington’s headquarters in Morristown, New Jersey with the news. Rochambeau would soon arrive with nearly 7,000 infantry and de Grasse’s fleet would work in conjunction. Combined with the news of Spain joining the alliance against Great Britain, Washington began to go from a strategy of defensive first to offense. Lafayette’s zeal and hard work for American independence and a Franco-American alliance paid off on the banks of the York River in October 1781. For a great biography about the Marquis de Lafeyette, read Lafeyette by Harlow Giles Unger. For information on seeing the L’Hermoine, see Rob’s post from last week here. 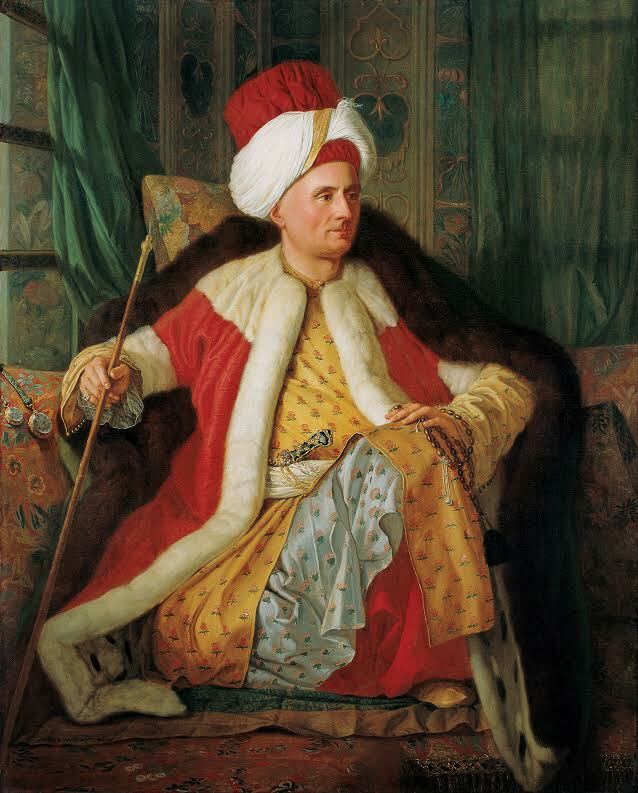 This entry was posted in Emerging Civil War, Revolutionary War and tagged Benjamin Franklin, Boston, Comte de Grasse, Comte de Maurepas, comte de Rochambeau, Comte do Vergennes, Expedition Particuliere, Franco-American, French, French alliance, George Washington, Jean-Baptiste Donatien de Vimeur, King George III, King Louis XVI, L'Hermoine, L'Hermoine 2015, Lord Charles Cornwallis, Marquis de Lafayette, Morristown, New York, October 1781, Savannah, Siege of Yorktown, Sir Henry Clinton, Southern Theater, Virginia, Yorktown. Bookmark the permalink.